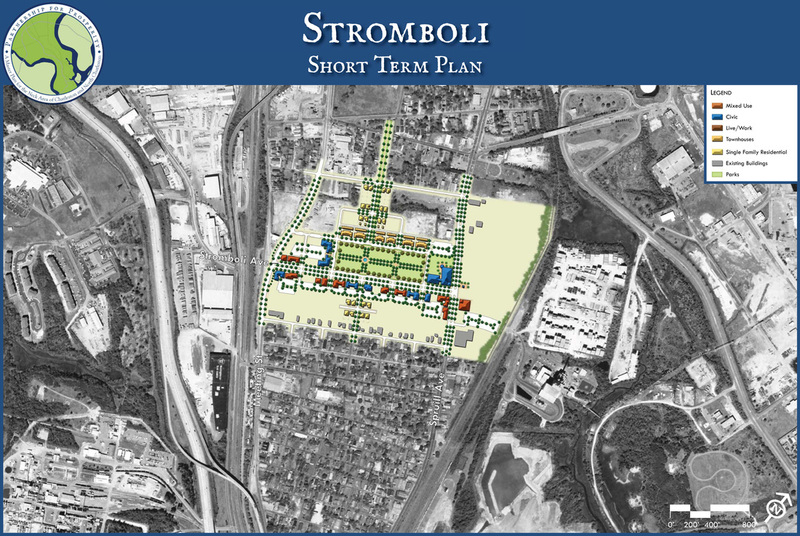 The Stromboli Corridor catalyst area is a neighborhood center today. 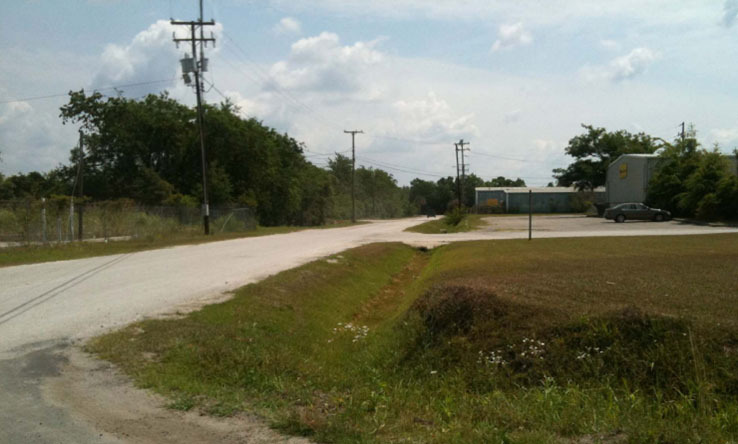 It consists primarily of large lot industrial uses and container storage areas that effectively separate the Five Mile and Windsor neighborhoods between Carner Avenue and Spruill Avenue. The two neighborhoods are included in the LAMC Area Revitalization Plan. There are some residential, commercial and civic uses along the southern (Hampton Avenue) and northern (Jacksonville Road) fringes of the catalyst area, as well as vacant residential lots. 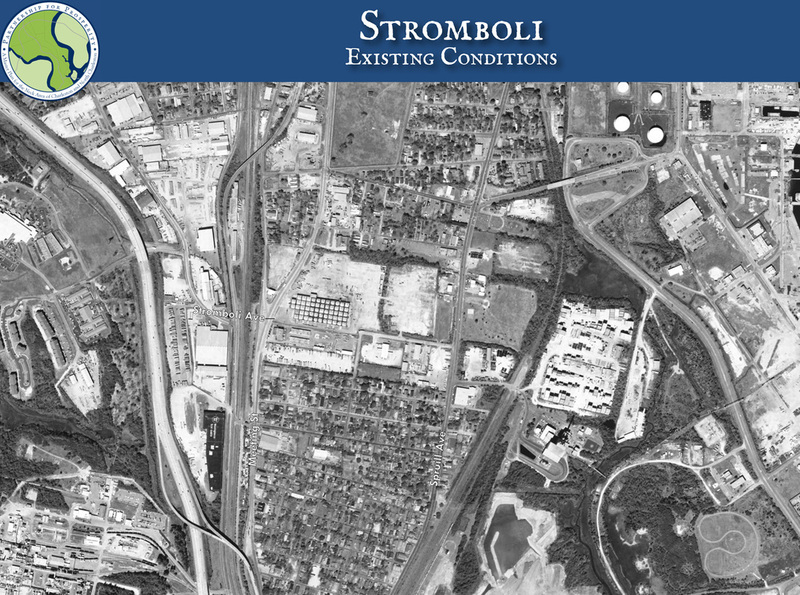 Stromboli Avenue is closed between Column Street and Carner Avenue. Park South, an underutilized City of North Charleston recreation facility, is located on the east side of Spruill Avenue between Stromboli Avenue and Jacksonville Road. 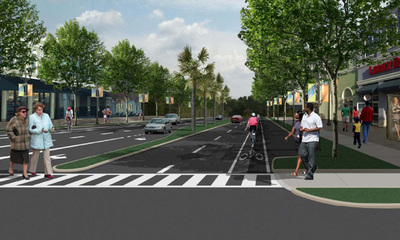 With this area envisioned as a community focal point, services node and area for social gathering and interaction, catalyst opportunities should be oriented towards civic uses such as a community center, workforce training, health care amenities, education facilities and other programs that help promote economic opportunity and prosperity and provide needed community services for neighborhood residents. There are several large underutilized properties along Stromboli Avenue that could serve as community anchors, providing neighborhood destinations and facilitating multimodal connections between the existing residential areas to the north and south. The preliminary planning level program derived from the Long Term Phasing Concept Plan shows that about 300 residential dwelling units and 280,000 square feet of non-residential uses could be developed in this catalyst area, which is consistent with preliminary program numbers for the Stromboli area from the LAMC Final Plan. Non-residential uses as envisioned in this Concept Plan include 150,000 SF of retail; 50,000 SF of office/commercial; and 80,000 SF of institutional. The preliminary planning level program derived from the Long Term Phasing Concept Plan shows that about 300 residential dwelling units and 250,000 square feet of non-residential uses could be developed in this catalyst area.